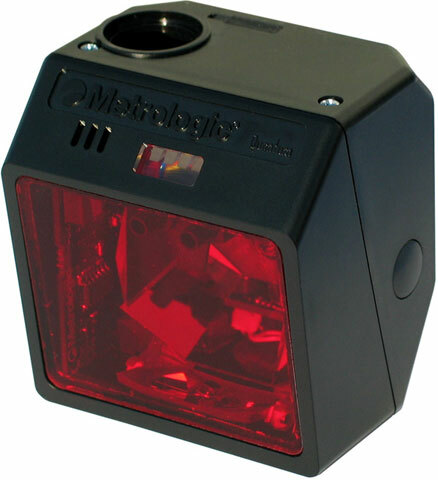 The Metrologic IS3480 QuantumE is a combination omnidirectional and single-line laser barcode scanner. The omnidirectional scan pattern offers outstanding scan performance on all standard 1D barcode symbologies, including RSS. The IS3480 QuantumE's button-activated single line mode aids in scanning items that contain multiple barcodes or when selecting barcodes from menu-style price sheets. Flex Stand for the QuantumT MS3580. 15cm (6") flex pole with mountable base for MS3580 QuantumT. This item is Non-Cancelable/Non-Returnable. Stand, 3 inch, Square Base, for the Quantum Scanner. Non-Cancelable/Non-Returnable. The Metrologic MK3480-30A39 is also known as Metrologic Instruments	MET-MK3480-30A39	or MK348030A39	.